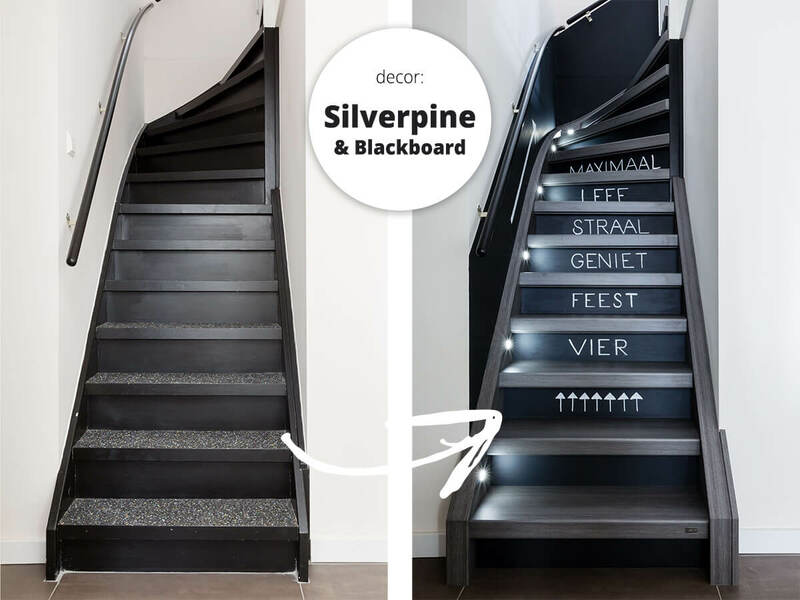 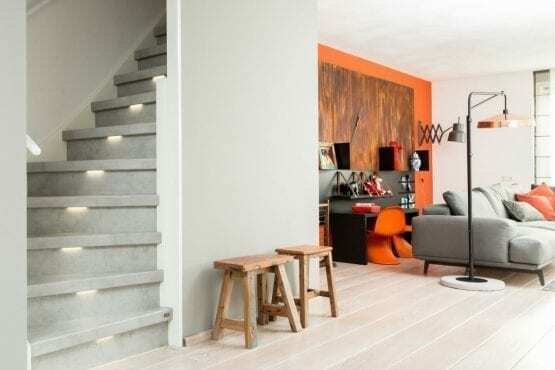 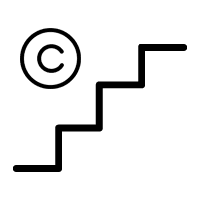 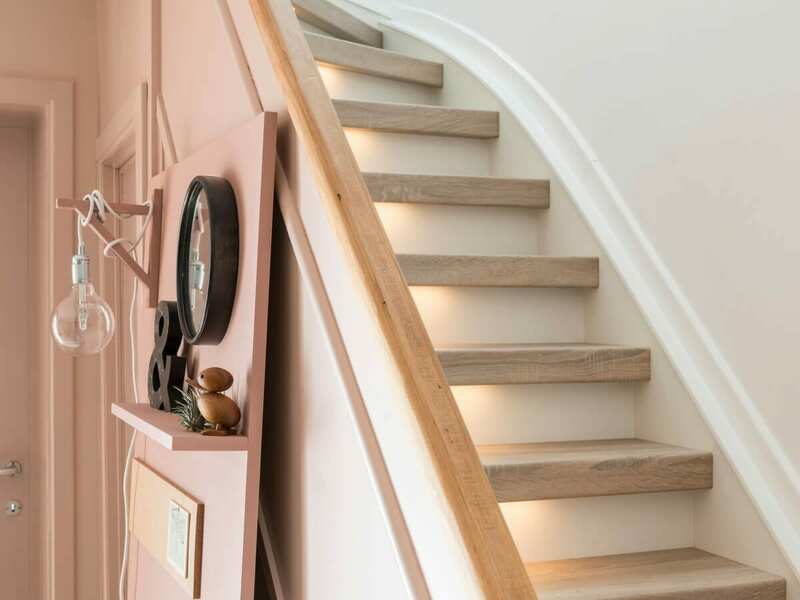 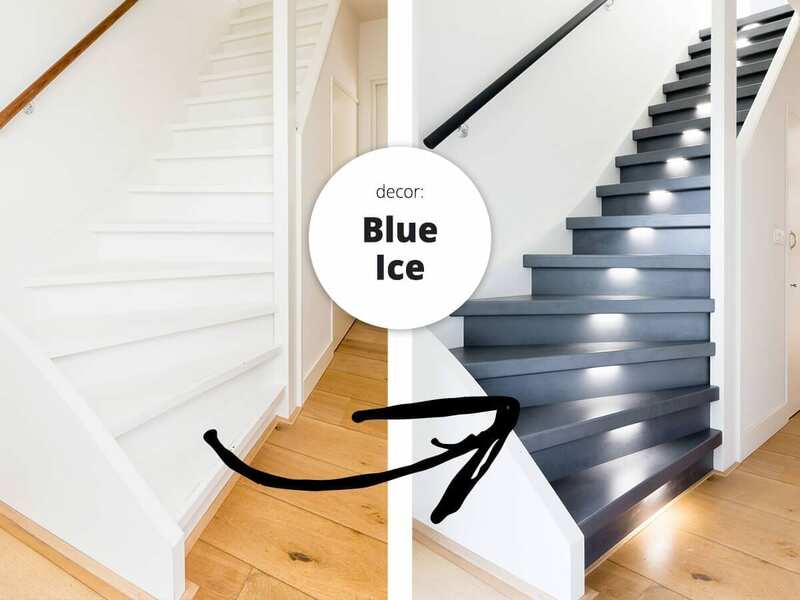 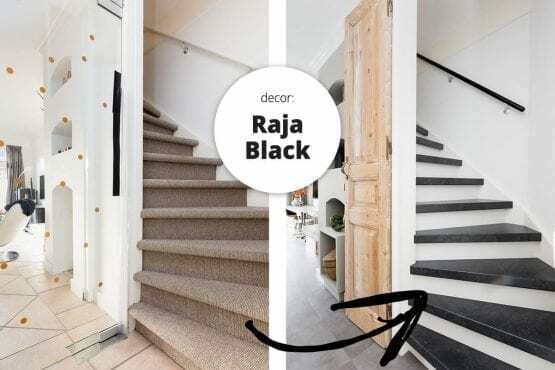 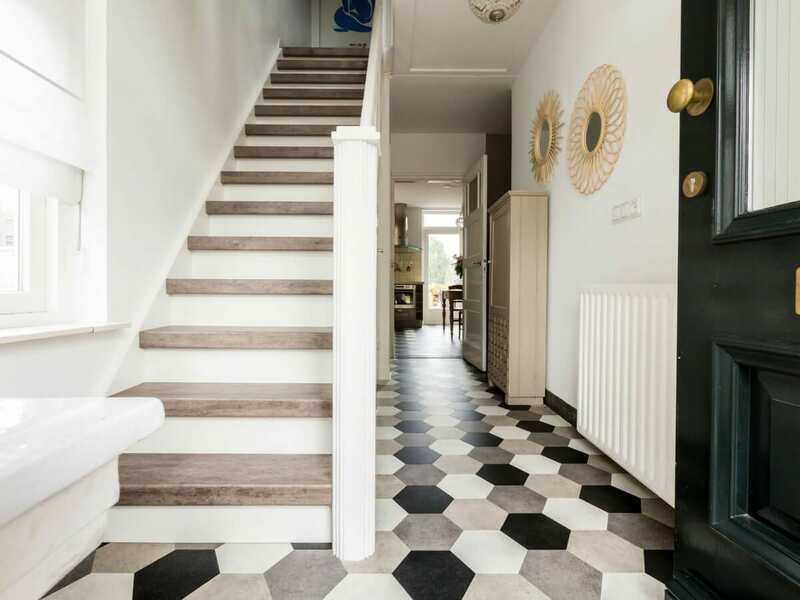 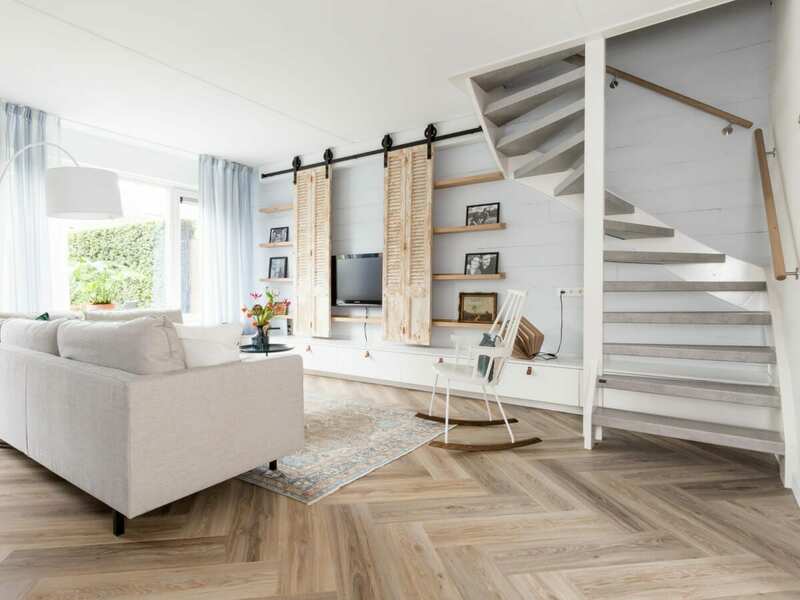 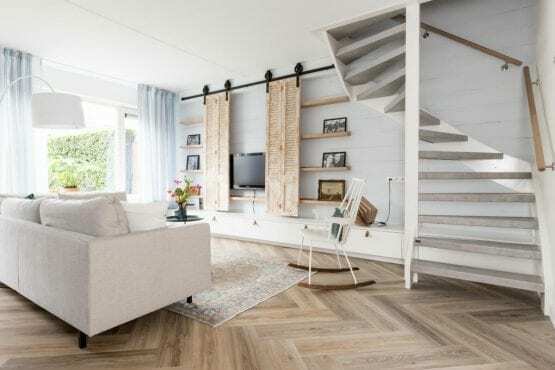 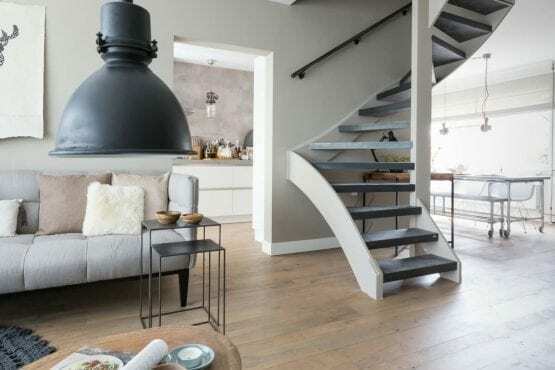 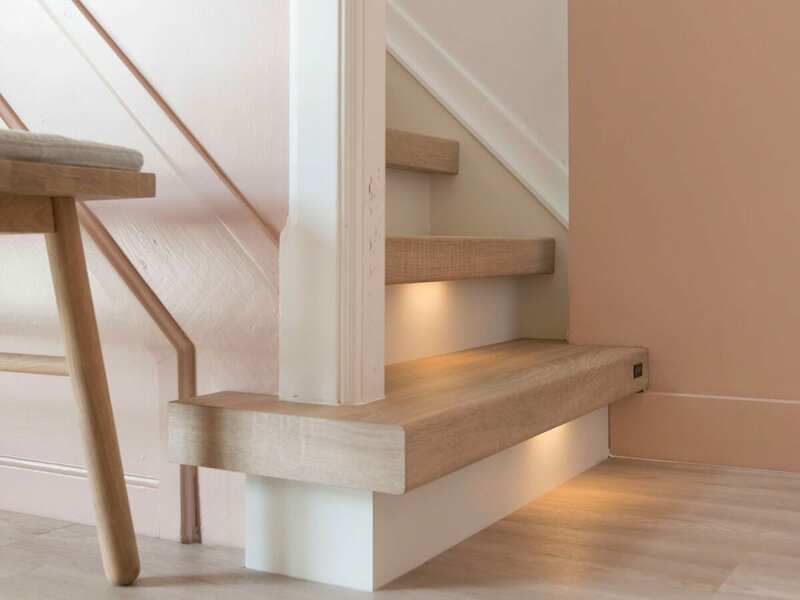 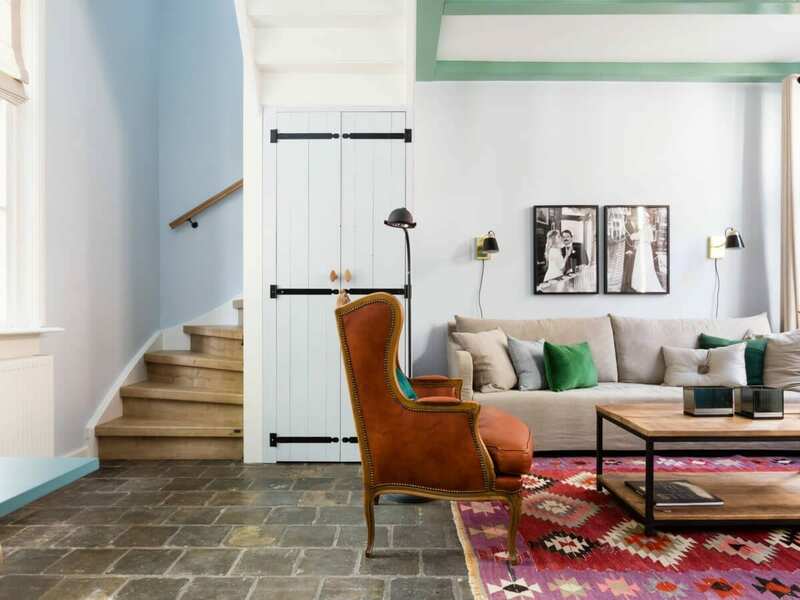 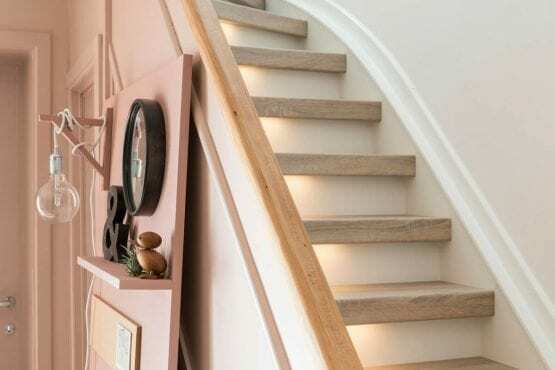 Is your staircase worn or is it time for a new look? 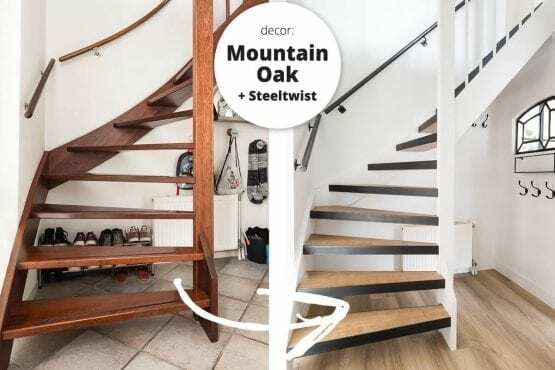 You don’t necessarily need to have a brand new staircase installed. 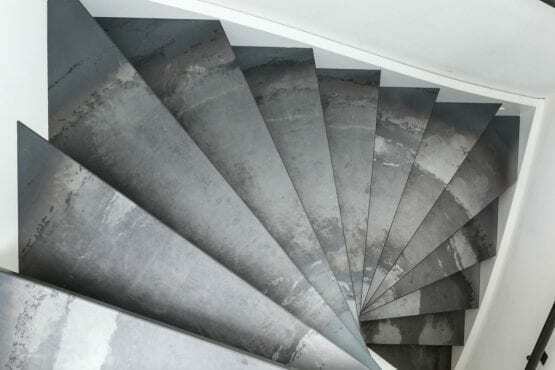 Covering your stairs is a good alternative. 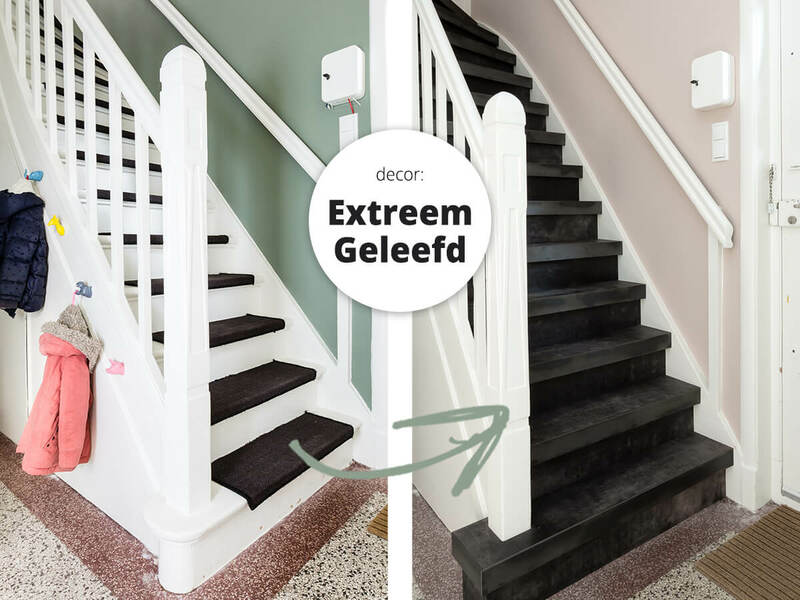 In no time at all your staircase will look new again. 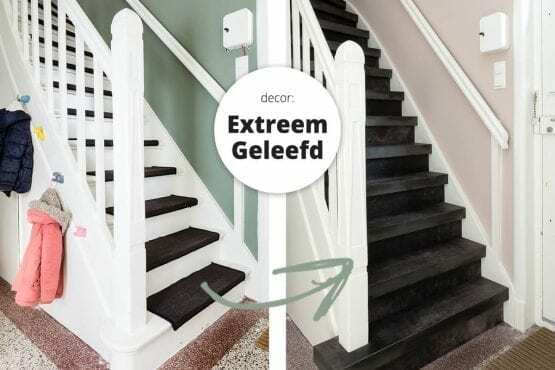 You choose the material and the style and will enjoy your new staircase covering for years. 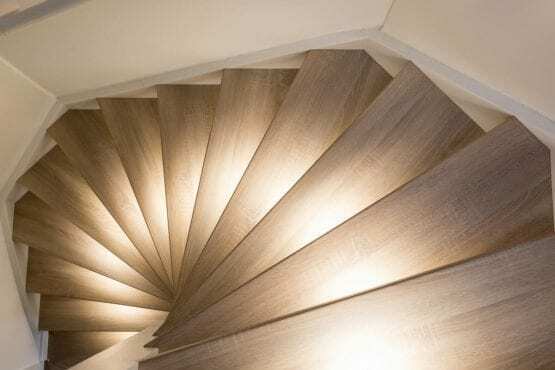 Wooden staircase covering is available in various colours and hues and is known for its warm character. 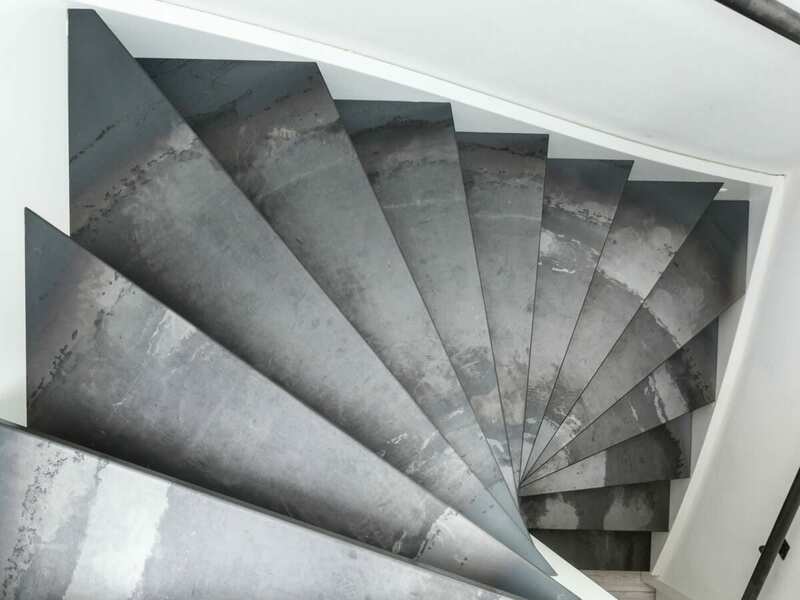 Steel has a rather cool appearance. 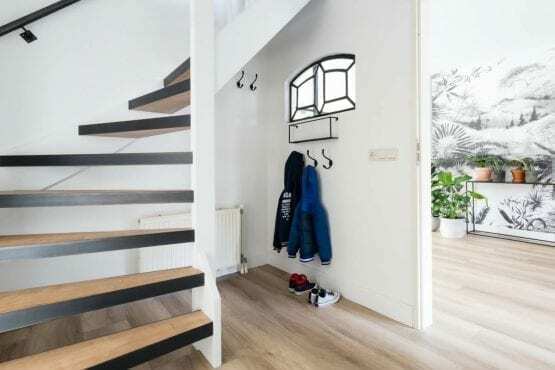 Leather staircase covering is ideal if you like a characteristic look. 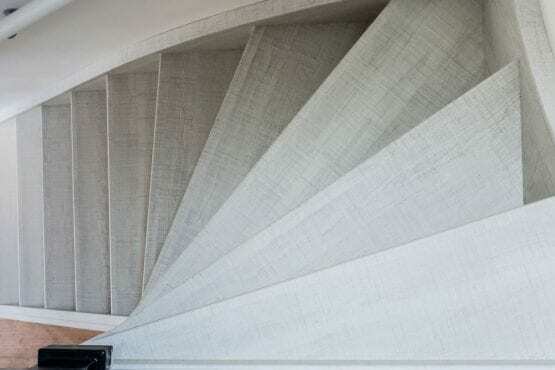 Fabric coverings combine well with carpeted interiors. 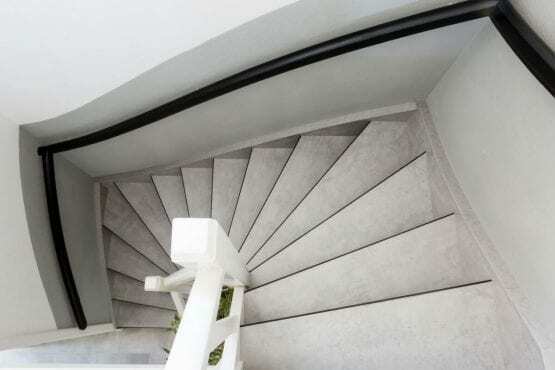 Staircases have to put up with a lot of hard use. 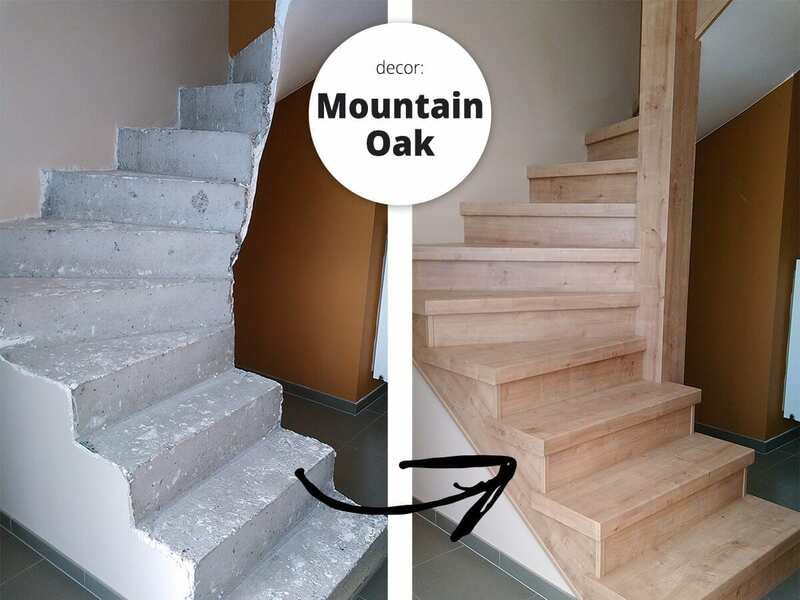 They are subject to wear and tear and need to be able to withstand a knock or two. 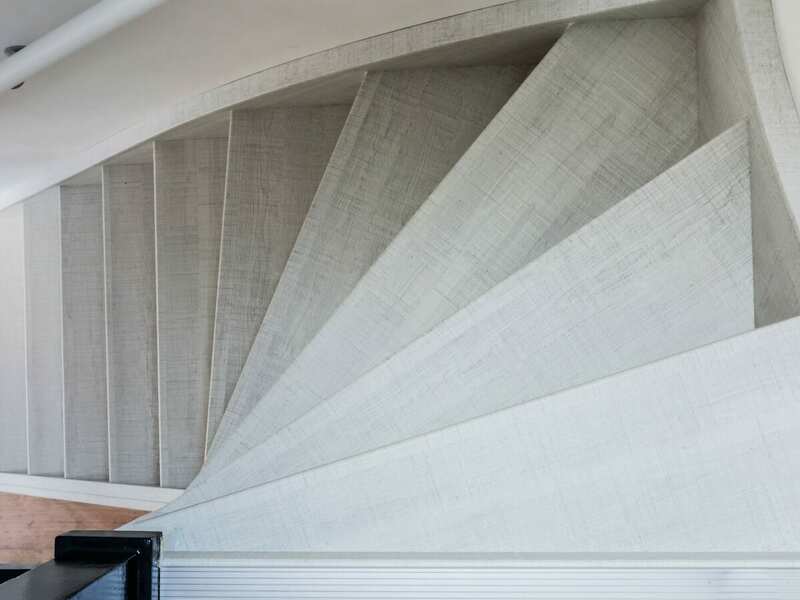 At Upstairs, we only use high-quality materials that are extremely hard-wearing. 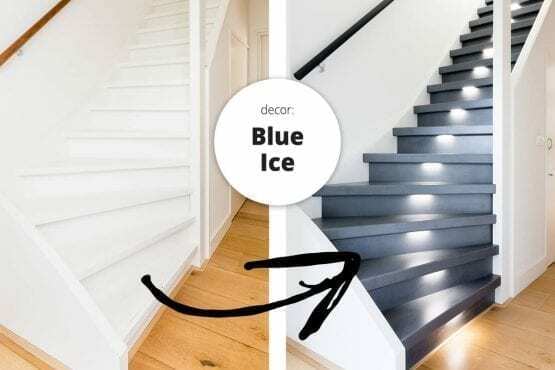 Maybe you’re asking yourself how we guarantee this? 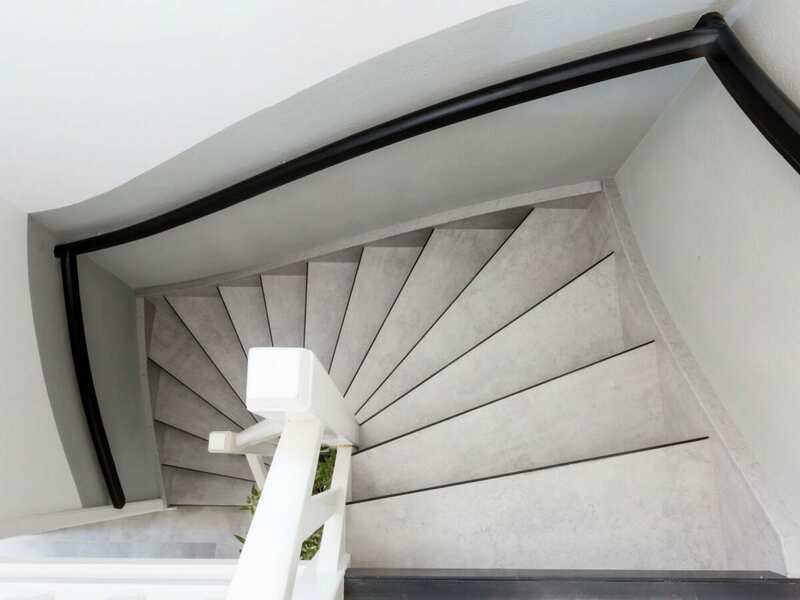 We manufacture all of our materials in-house and constantly put them through quality checks. 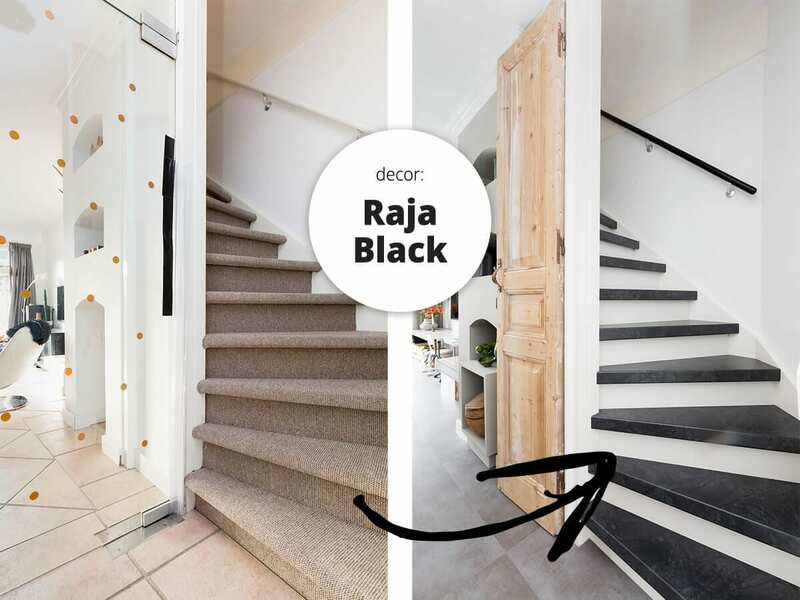 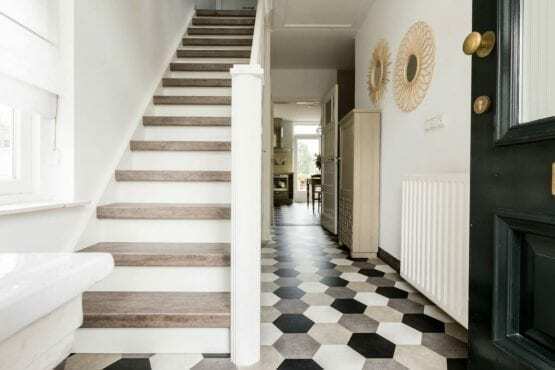 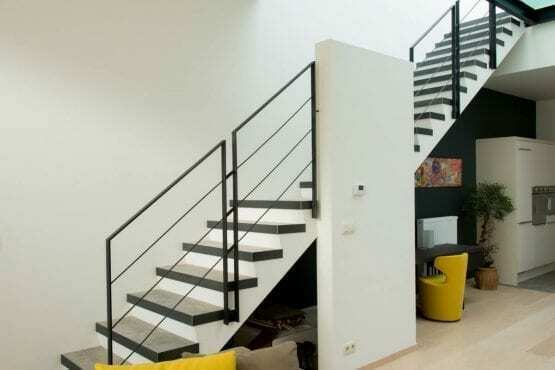 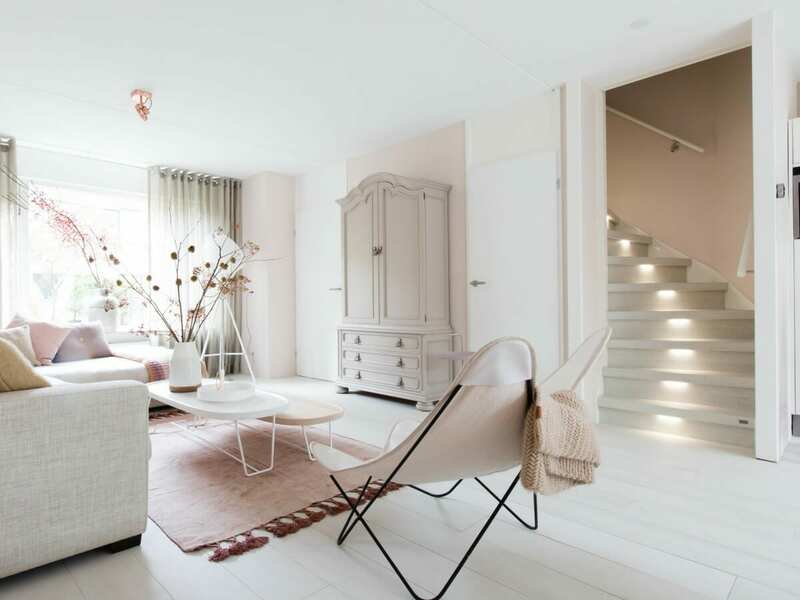 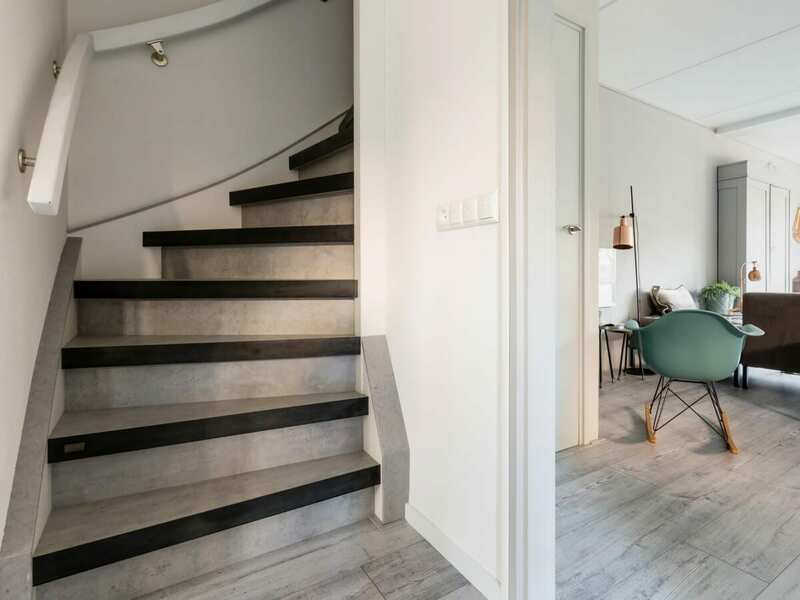 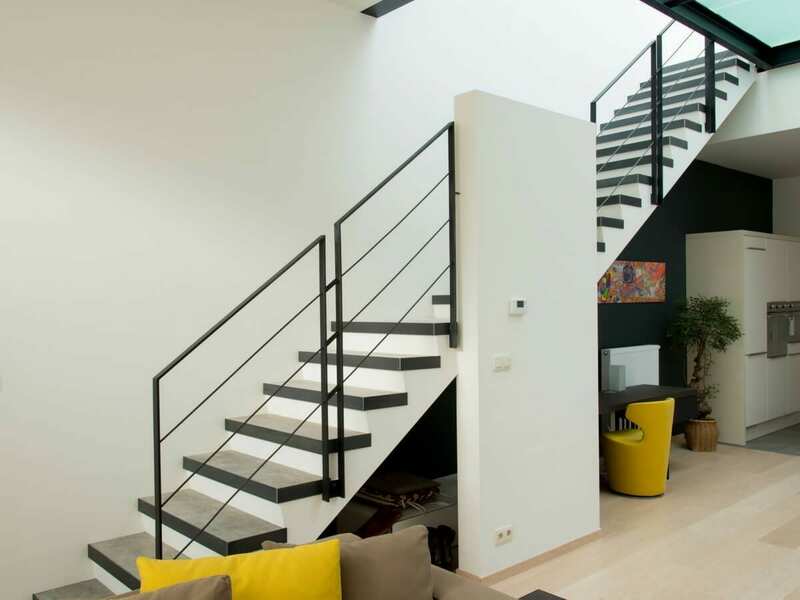 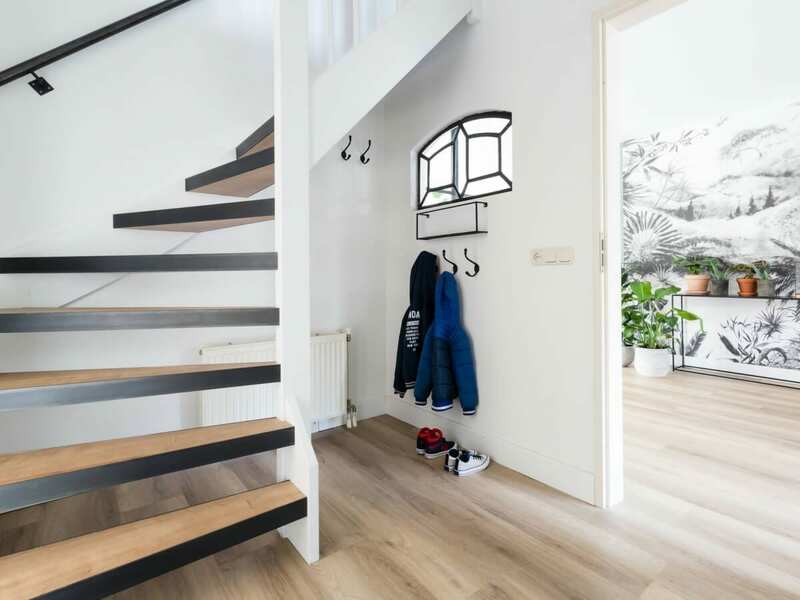 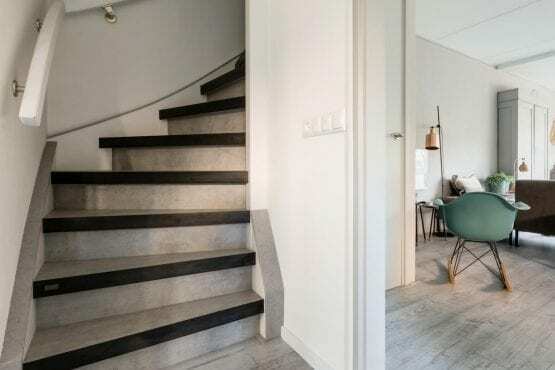 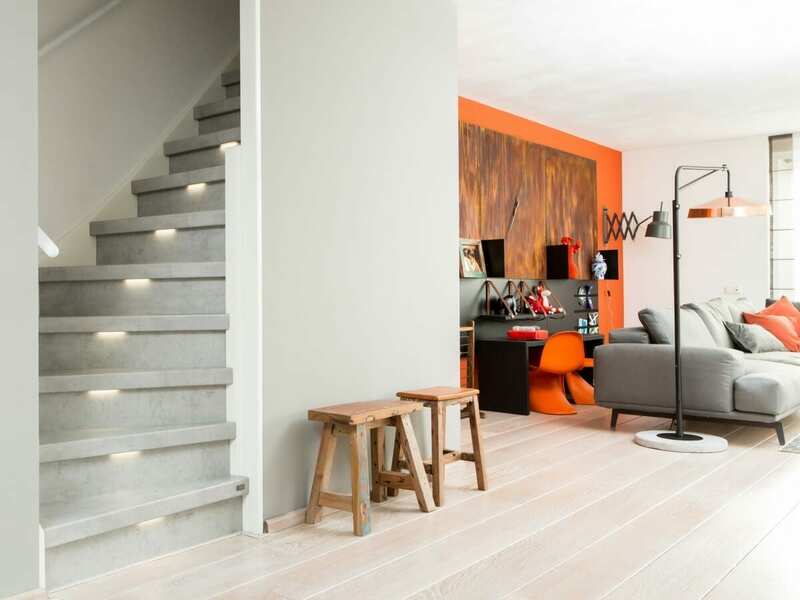 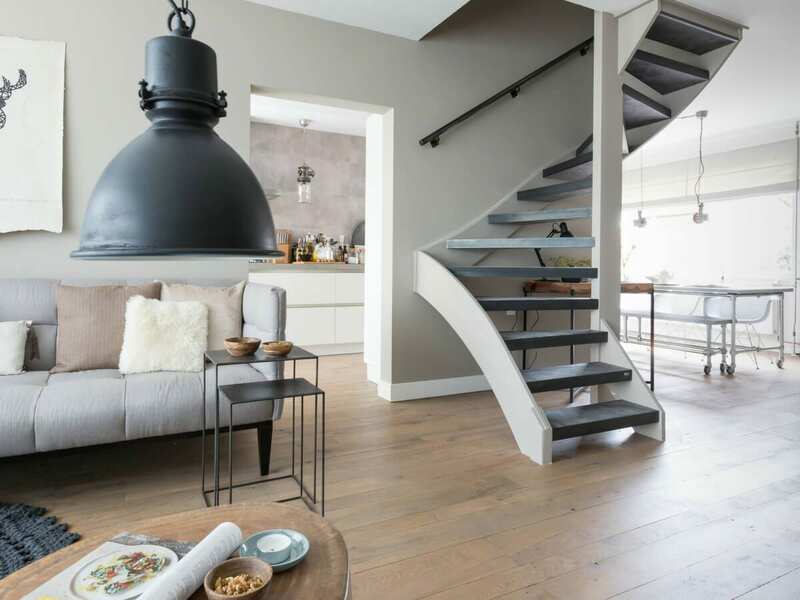 The result is a staircase renovation that commands respect! 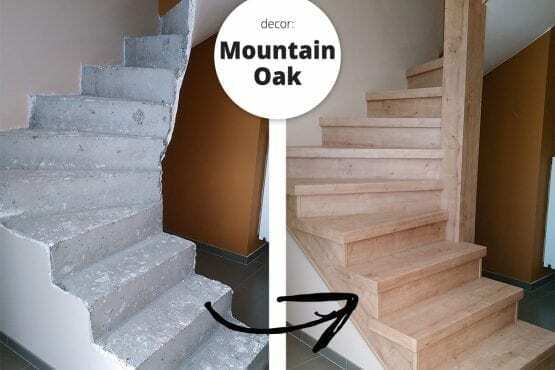 Would you like to cover your stairs? 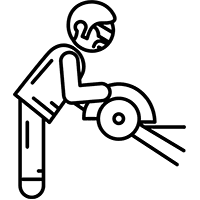 Be safe rather than sorry and work with a specialist. 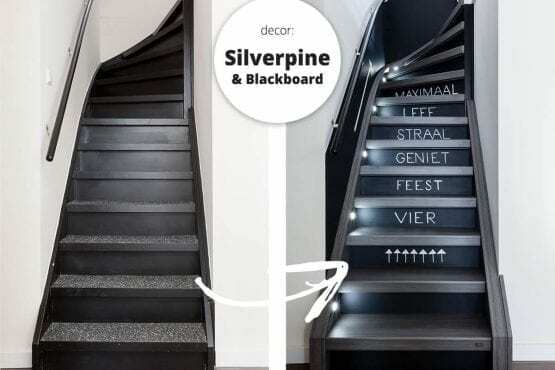 Upstairs can show you some great references. 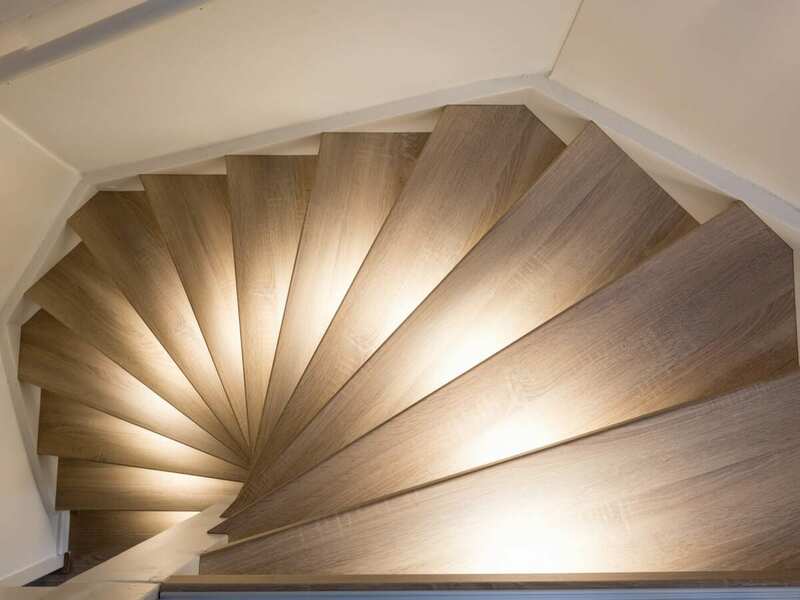 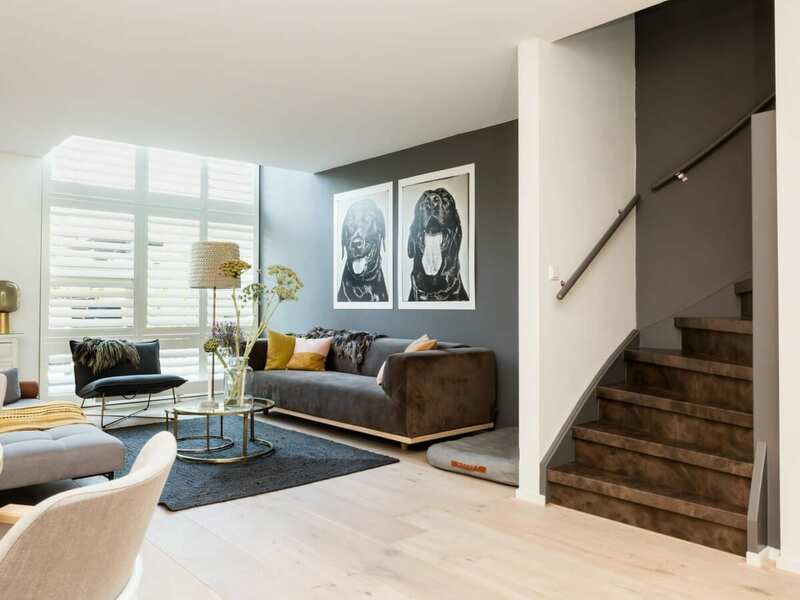 We have many years of experience in staircase renovation. 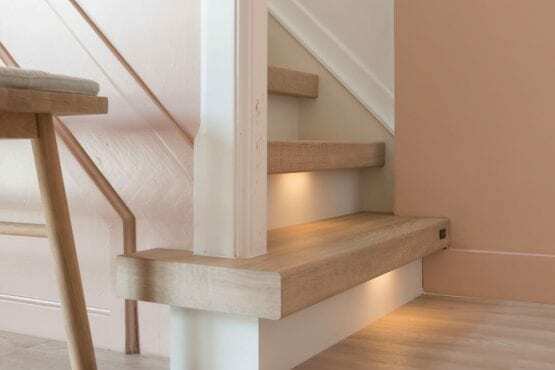 Furthermore, your new staircase covering will be fully fitted in just one day. 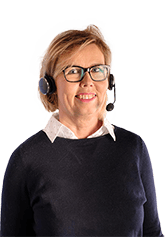 Would you like to know more or do you need specialised advice? 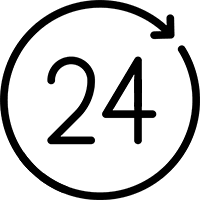 Please contact one of our advisers. 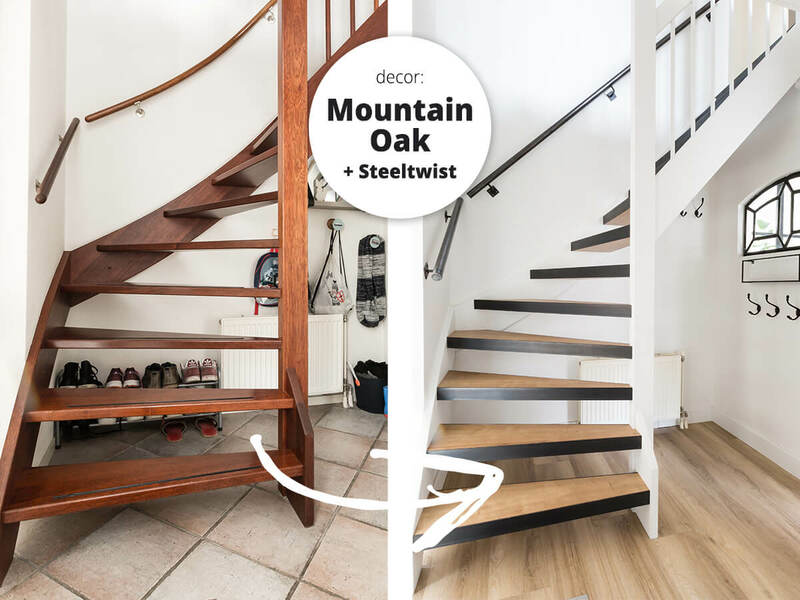 He or she will visit you at home to measure everything up and will be able to tell you precisely how much your dream staircase will cost.